New classes have been added to the ongoing series seminars, trainings and workshops for agricultural and related industries. Held at the Sonoma County Farm Bureau the classes range in topic from CPR to Foreman Management Training and much more. 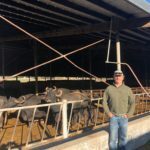 A series of courses for agriculture and related industries are being organized by Sonoma County Farm Bureau. PG&E is the valued sponsor of the Training Program. To register, click on the RSVP button below or contact Anita Hawkins: 707-544-5575 or ahawkins@sonomafb.org. Our program is designed with your work day in mind! No late arrivals or missed hours accepted. Register for the FLC Class and Panel Discussion & Reception included at NO ADDITIONAL COST! FLC Class is offered in English and Spanish. Submit your questions for the panel in advance! Our program has been approved by the Department of Labor Standards Enforcement, DLSE to fulfill new and annual renewal licensing requirements. Our program will cover topics that are appropriate for new and advanced FLC’s. To register or for more information, please email or call Lloyd Coker at llc5@pge.com / (707) 327-8937 or (530) 246-6576. Update on the Wine Industry Efficiency Solutions Program (DWIES) which provides project recommendations based on industry-specific experience, and quantifies the economic value of energy efficiency upgrades. Join us for a free workshop! Continental Breakfast and lunch included! Training courses for Forklift Certification will be provided by Sonoma County Farm Bureau. 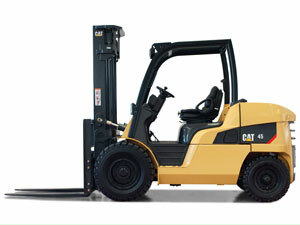 Attendees will have the opportunity to receive instruction for two types of forklifts, industrial and rough terrain. Each instruction will be offered in two languages, English and Spanish separately. Upon completion of the classroom and equipment training, a three-year certification will be given. The Saqui Law Group and Sonoma County Farm Bureau offer this seminar for Owners, Operations team members, and HR team members. $25 per SCFB member | $55 per non SCFB member. Time: 10:00 am – 2:30 p.m.
Michael Saqui’s successful track record spanning over two decades makes him a powerful partner to the clients he represents in all aspects of employer-employee relations. He does extensive public speaking including seminars, lectures and in-house training, to counsel employers in developing proactive approaches to address employment and labor relations matters. A training course for CPR, First Aid and AED (Automated External Defibrillator) will be offered by Sonoma County Farm Bureau. The session will provide training to respond to accidents and sudden illnesses in emergency medical situations. Upon completion of the class, two-year certifications will be given for CPR and First Aid. Sexual Harassment Avoidance in the Workplace classes for Supervisors will be held at the Sonoma County Farm Bureau. The two-hour class fulfills a law, AB 1825, that requires supervisory personnel to have two hours of training in sexual harassment every two years. The classes will cover the various types of sexual harassment, how to deal with complaints, how to prevent situations and other types of harassment as well. Instructors will cover labor issues in the field, pesticide hazard communications and material safety data information. New farm labor laws and regulations will be presented, and there will be hand-out materials and time for questions at each workshop. A certificate will be issued to each participant completing the class. Sonoma County Farm Bureau is partnering with Santa Rosa Chamber of Commerce and program sponsors, PG&E and American AgCredit, to provide an eight week program to learn and increase Spanish language skills. These important language skills can be utilized for employment, family and community life. Program class dates: February 27, March 1, 6, 8, 20, 22, 27, 29, April 3, 5, 17, 19, 24, 26, May 1 and 3. Class hours: 4:30p.m. to 6:30p.m. 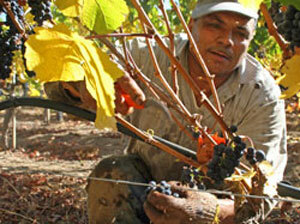 Safety training workshops for agricultural and related industry workers will be held. The workshop is open to all in the North Coast region. Instruction will cover a range of topics including Pruning and Pesticide safety training, Forklift, Tractor/PTO and ATV safety, Heat stress and Field hygiene. The workshop provides vital safety information with handouts; including the revised Hazard Communication Standard (Globally Harmonized System) and Heat Stress Regulations. The Respirator Fit Test procedure will be available. 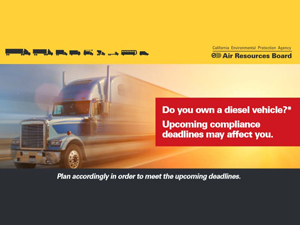 Do you own, operate, or dispatch heavy-duty diesel trucks in or to California? This course gives you the information you need about how to comply with California Air Resources Board (CARB) diesel regulations with an emphasis on what you need to do to be compliant for 2017. There are important deadlines January 1st and January 31st. Do you know if your diesel vehicles have lost the AG or Low Exemption status? Early in 2016, CARB conducted an audit of truck information and mileage reporting from the TRUCRS online reporting system. If any information was missing (ex: missing odometer reading), the status of that truck was changed to “None”. In most cases, that creates a non-compliant status for the CARB rule leading to potential fines. View your TRUCRS account and check the status of your vehicles using the Low Mileage AG provision. For more information about how to reinstate, contact CARB and join us at the January 11th presentation for 2017 information and invaluable one-on-one assistance. 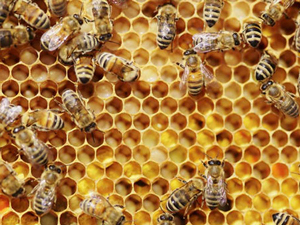 This workshop, open to Pesticide Applicators and Certified Crop Advisers, will cover information including the removal and relocation of honey bees for colony preservation and specifics regarding the attraction, conservation and management of beneficial insects and natural predators. The presentation will also cover regulation topics such as: personal protective equipment as required by WPS, the new 2017 WPS and the Globally Harmonized System. Licensed pesticide applicators and crop advisers will have the opportunity to receive Continuing Education credits (four hours confirmed). To receive credit, please bring license number to workshop. Get compliant and meet your district representatives. What can they offer to help you? How can you burn cleaner and revitalize the soil? According to air quality districts, the disposal of waste material in an open, outdoor fire can be a significant source of air pollution. Smoke from open burning contains fine particles, harmful gases and other toxic byproducts that can be inhaled deep into the lungs. Exposure to these pollutants has been linked to respiratory and heart problems, asthma, and in some cases, premature death. Much of the legal open burning is for agricultural or natural resource management purposes. Therefore, to reduce the harmful effects of smoke on public health, open burning regulations have been adopted and are enforced. Join us to get compliant; to become familiar with the various allowable burn types, when each is permitted, air district programs to help your business and conservation burn solutions to promote clean air and healthy soil environments. 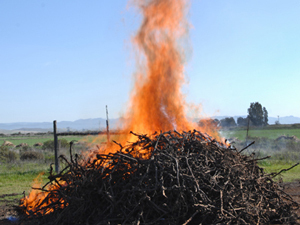 Sonoma Biochar Initiative – Raymond Baltar, Director and Senior Project Manager. Join Sonoma County Farm Bureau today and attend your first compliance series seminar complementary with your membership. As Farmers and Ranchers, you play a special role in the lives of every person; you feed our world, protect our landscape and create our history. You are the stewards of our land, and the land is your legacy. Your future generations hope to be a part of your legacy. But what role will they play? How can you ensure your wishes will be carried out while minimizing legal difficulties and confusion for your family through the transition of your operations to your future generations? Join us to discover your options and find out how to put an effective transition plan in place. To help prepare for the transition and protect your business, learn about the types of liability that can affect your daily operations and future business plans. What business practices are you engaged in that create “liability compliance” issues? How can you minimize financial loss? What is the true definition of Agri-tourism and what can it cost you? What types of business records are required and how should they be organized? So many considerations. Let’s explore the solutions together with dedicated business professionals. CA Employers: Are You in Compliance? California agricultural employers are more regulated than any other in our nation.Do you know everything that is required of you for 2016 and beyond? 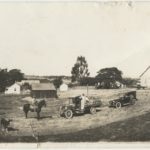 Sonoma County Farm Bureau is bringing the information to you. formerly trained? Learn about proper training for your commodity. *** Are there Night Work regulations? Can a visit from Cal/OSHA still end in fines? Cal/OSHA will present “accepted practices” for your business. Take this opportunity to consult with Michael C. Alvarez, Educational Outreach Trainer for the Division of Occupational Safety and Health (Cal/OSHA). Michael’s instructional career includes years of management with Cal/OSHA Consultation formulating Education and Training Unit Programs, and Response Services for national environmental disasters. Join Sonoma County Farm Bureau today and attend your first ABC seminar complementary with your membership. Advanced registration is required by July 28th as seating is limited. Each year millions of dollars in R&D tax credits go unclaimed by companies like yours. 13 cents of each dollar spent on research may be recaptured in federal and state tax credits. Significant tax savings are possible through the conduct of a R&D Tax Credit Study. Why perform a R&D Study? Claim immediate cash refunds for operational activities. Reduce current and future tax liabilities (both state and Federal). Credits may be claimed for all open tax years. Federal credits carry forward for 20 years. California credits never expire. Recent legislation favors taxpayers – R&D is no longer scrutinized during audits. Romo Incentives Group (RIG) is one of few consulting firms that specialize in identifying tax credits for the Ag industry. Servicing clients throughout California’s Central Valley, as well as other major Ag communities throughout the state, RIG’s R&D team members are experts in identifying specific Ag activities that generate tax credits. RIG’s R&D consultants work with companies of all sizes and in all stages of operations – from those undergoing initial planting and developing early stage crops to those that have been around for over a century. RIG also services some of the world’s largest agricultural food processors and vineyards, in addition to mid-size and small, and family owned operations. At no cost, RIG’s expert team performs a scoping exercise to identify qualifying activities and associated costs. If the tax benefits exist, RIG proceeds with a R&D Tax Credit Study, conducting a thorough analysis, computing the credits, and handling all documentation. Should an audit occur, RIG handles this process, as well. Due to a perception that R&D credits are limited to certain industries (heavy manufacturing, laboratories, software), for decades the Ag industry has neglected to claim millions of dollars in tax credits to offset both federal and state tax liabilities. RIG is working to change this. 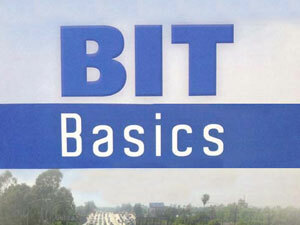 The BIT (Basic Inspection of Terminals) Program has grown for 2016. Category J: If you utilize a vehicle for agricultural or related business with a gross vehicle weight rating (GVWR) between 10,001-26,000 lbs. (standard box pickups, flatbed pickups or “altered beds”), you are now subject to the Motor Carrier Permit Program and BIT Program. Also included, Category K: commercial motor vehicles with a GVWR of 26,001 or more lbs. or any commercial vehicle towing a vehicle with a GVWR of more than 10,000 lbs. This weight class will be required to maintain specific documents including: DMV Employer Pull Notice, hours of duty status, driver proficiency, drug and alcohol testing, driver applications and previous employer inquiries. CHP Motor Carrier Safety Unit representatives will present all topics and be available for your questions. 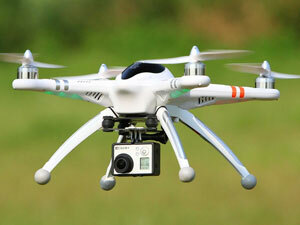 Drone Activity – Commercial and Residential, Do you have Rights? Carl Borden, Associate Counsel from the Legal Services Division of California Farm Bureau, will discuss several issues that arise from this activity including: air space rights, property rights, trespassing, citizens’ arrest and self-defense. Sonoma County Sheriff’s Office personnel will also present and be available for enforcement questions. Farm Employers Labor Service, an affiliate of the California Farm Bureau Federation, offers educational workshops to help you know what’s coming in 2016, and what you need to do to be ready! 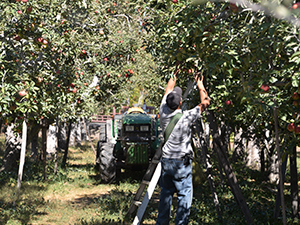 During the summer months, employers must provide employees with training on a variety of hazards they will encounter as they work in the fields. One of the most common and effective ways to accomplish this is with informal “tailgate” training programs. “Tailgate” training gets its name from making an informal presentation from the back of a pickup’s tailgate. This Safety Sheet will help supervisors plan and deliver safety and health training to employees who work in agricultural settings. During certain times of the year, employees may work in hot temperatures and be exposed to the risk of heat-related illness. To help protect employees from heat-related illness, this Safety Sheet will help monitor your Heat-Illness Prevention Program.